Welcome! soo dhawaw! nyob zou tos txais! Bienvenidos! The Payne-Phalen Community Council (District Five) exists to promote the physical, social and economic development and human dignity of people of all ages, backgrounds, cultures, and communities within its geographic boundaries, and is the largest of Saint Paul’s 17 citizen participation districts established in 1975. 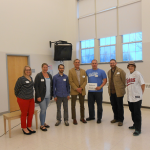 The Payne-Phalen Community Council (District 5) organizes to fulfill the vision and interests of all people living in, or owning a business in Payne-Phalen Planning District 5. The City of Saint Paul names the geographic area making up the Payne-Phalen neighborhood as the District 5 Planning area. Our mission is to improve Payne-Phalen neighborhoods by engaging, educating and empowering all residents in our diverse community. 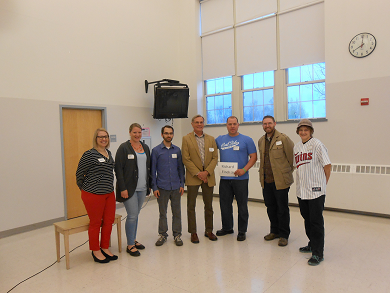 The Payne-Phalen Community Council is a registered Minnesota non-profit 501(C)3 organization that is governed by an all-volunteer 17-member Board of Directors. District Five is YOUR organization and resource! Participation in District 5 events, meetings and activities is open to all. Everyone over the age of 16 who lives in or owns a business in is a voting member and can run for a seat on the Board and vote at the Annual Meeting, held the 4th Tuesday of April each year. The community is strongly encouraged to participate in all aspects of the District Council and its programs, governance, events and activities. There are no dues or applications to fully participate in your District Council. The District Council helps residents and businesses connect with local city and county government and seeks to build local consensus on public issues. Saint Paul has a rich history of active and distinct neighborhoods. As a District Planning Council, District 5 is also part of the larger Saint Paul Planning Council system. 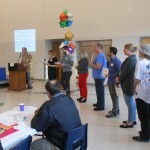 To support neighborhood participation in governance, the district council planning process was created in 1975 by St. Paul City Council Resolution. Saint Paul’s District Council system is is a nationally recognized citizen participation system of 17 recognized St. Paul neighborhoods (Map). Payne-Phalen District Five is the largest of Saint Paul’s 17 neighborhoods. District Councils are tasked to fully engage the community in local public planning and community improvement initiatives. Responsibilities of the councils include: planning and advising on the physical, economic, and social development of their areas; identifying needs; initiating community programs; recruiting volunteers; and sponsoring community events. 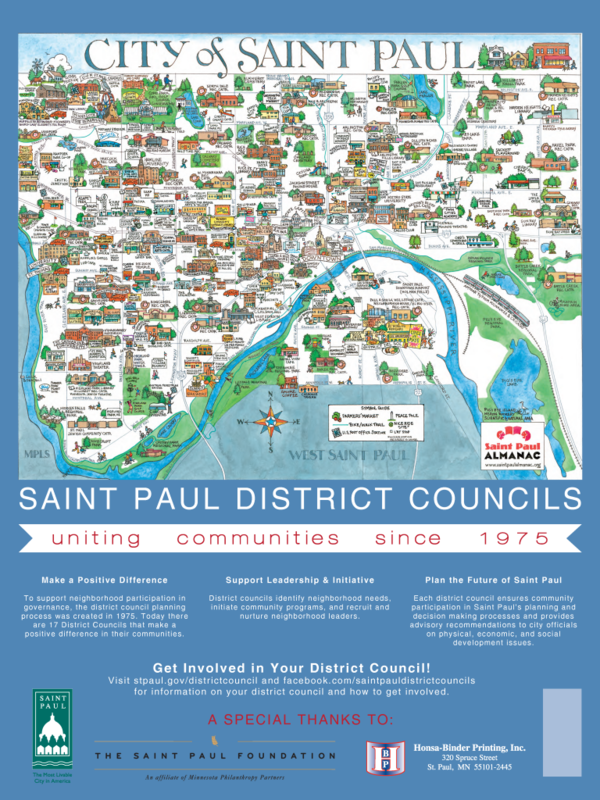 To learn more about the District Council system in the City of St. Paul, visit City of Saint Paul District Councils.